I never heard of tarragon soda before. 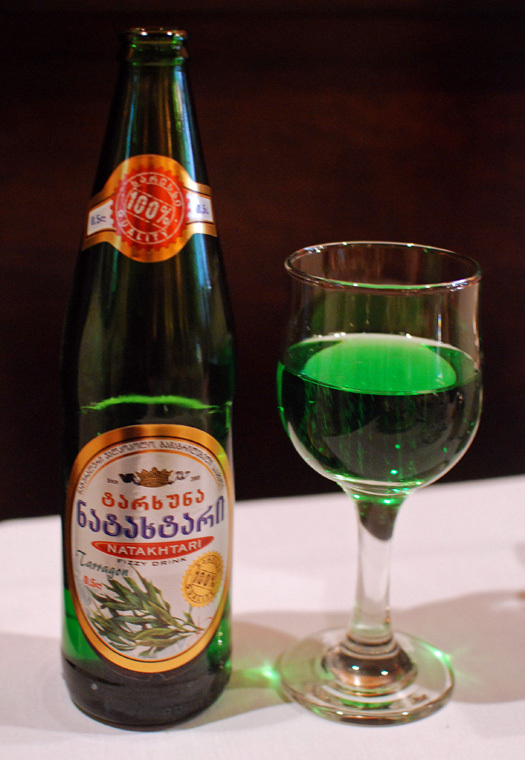 The only licorice flavored beverage available here is ouzo or arak and it is not so bright green. I use tarragon in Persian cooking sometimes and there it is also known as tarkhun. Grew up with this stuff! Thanks so much for sharing, I will try this if I come across some tarragon (I don’t grow it here on my farm). This is known as tarhun in Azerbaijani as well and I think estragon in Russian. Ah, the wonders (and challenges) of food chemistry. I make a lavender-lime beverage in the summer and I’m always sad to see that beautifully saturated purple-green lavender syrup turn pink when it’s mixed with the lime juice. I was fascinated reading about this tarragon soda today ~ really curious to discover how it tastes so looking forward to giving it at try. How interesting. If our little tarragon plant does well I will have to try this. Just found your blog–I love eastern european culture so I will definitely be back! What do I do if I don’t have a blender though? Thanks, Mike. My recommendation would be to… buy a blender 🙂 Sorry, I don’t have a recipe for boza yet! Hi Chadwick, your previous roommate is a weirdo. I wonder if adding parsley or a bit of spinach might preserve the green color. Hi Monarda, give it a try! Awesome! I’m growing tarragon just because I was recently in Tbilisi and I discovered this soda! And it’s so easy to grow! It’s taking over my garden! Tell me how long will the syrup keep in the refrigerator? Now that’s what I call making soda from scratch! I wouldn’t keep the syrup in the fridge for more than 5 days or so. I first saw this drink a couple of days ago. The color reminds me of Green River (q.v. ), but I thought the taste resembled anise or fennel. True tarragon is not that strongly liquoricy, as a rule, but “Texas tarragon” (really the anisillo marigold, Tagetes lucida) is both that and sweeter. I think you would have to use food color to keep it so green in the presence of citric acid. In the alternative, instead of citrus juice, you could use the zest. 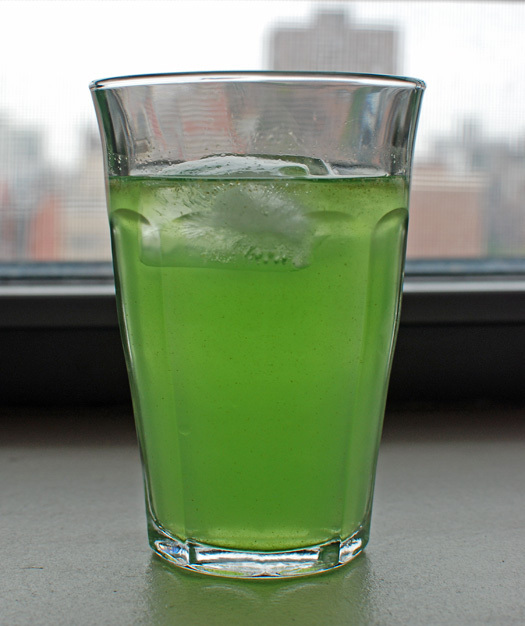 Hi Ray, the baking soda is there to balance the citric acid, that’s how I preserve the drink’s green color. Hi Florian! I really want to try this recipe, I just can’t undestand how much is “oz” in your system, because online I’ve read that there is oz for liquids and for oz for dry goods. And actually so many different kinds of ounce (American, British…) … So, could you give me an idea of the same quantities but maybe in grams? I would really appreciate. Hi Stefania, it is confusing indeed, which is why my recent recipes use grams from everything. For this recipe, you can use a scale to measure the ingredients and consider that 1 oz = 28 grams.